I'm catching up with my backlog again. 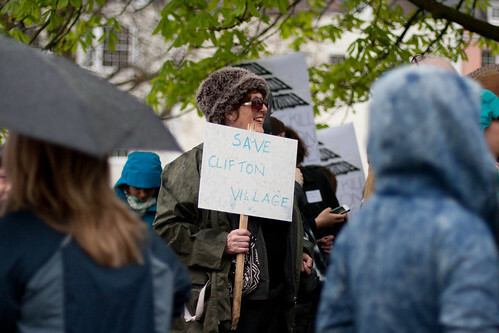 Last year there were a number of protests around the Residents' Parking Scheme proposed for Clifton Village in Bristol. 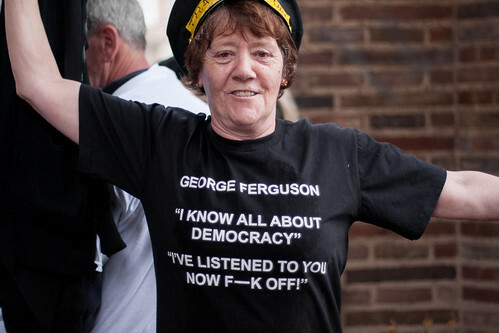 I went along to one and covered it for my Multimedia Journalism coursework. Local business owners and residents believed that the changes would be the death of Clifton Village's character and vibrancy as people would no longer be able to get to the area easily without being able to park. I've just spent the day on a stall for the University of Bristol's open day so my brain is a bit melty and not wanting to write words, so I've uploaded the full article I wrote about the parking protests back in 2014 instead. Enjoy!